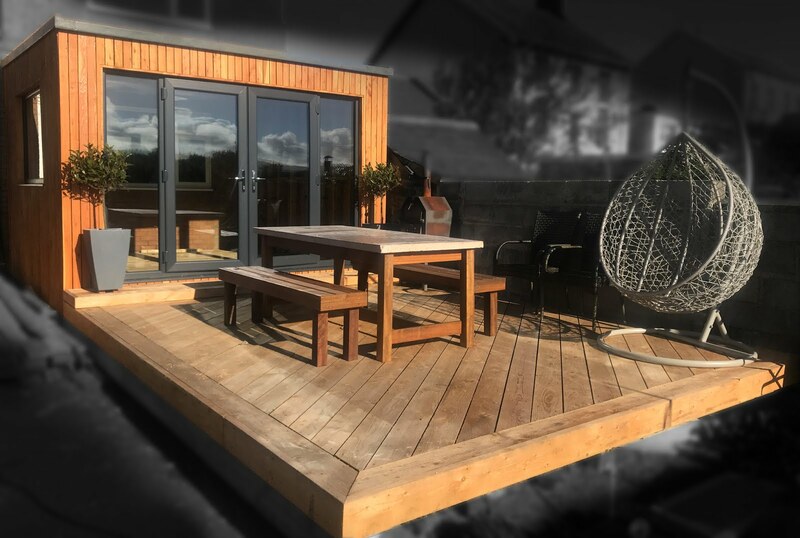 The great mild and even sunny Autumn we've had goes to prove just how useful having a decking can be for year round garden use and extending your living space by adding to it externally. More of our customers are realising that decks are very useful all year round, and even in mid winter, theres nothing nicer than getting outside to enjoy a crisp winters day and a stunning blue sky from the comfort of your own garden. 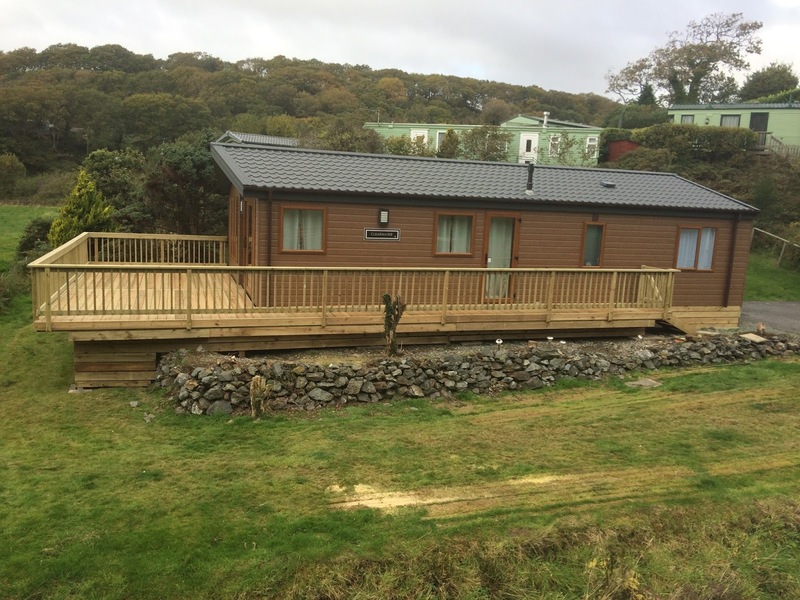 So, here’s a decking we've just finished at a stunning Cabin near Aberdyfi. 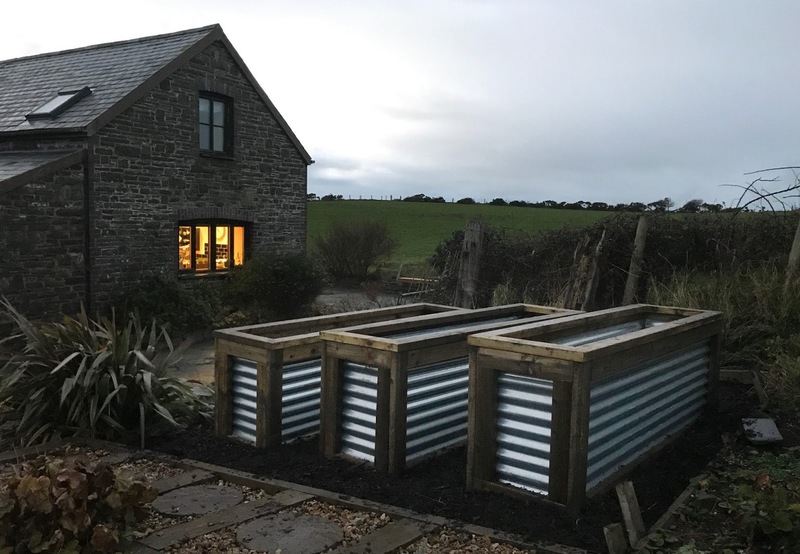 The owners wanted to utilise the land they had in front of the chalet, and also link up both front and side doors to prevent having to walk up and down when walking around the property, it also provides a safe area for their dogs to roam around safely. 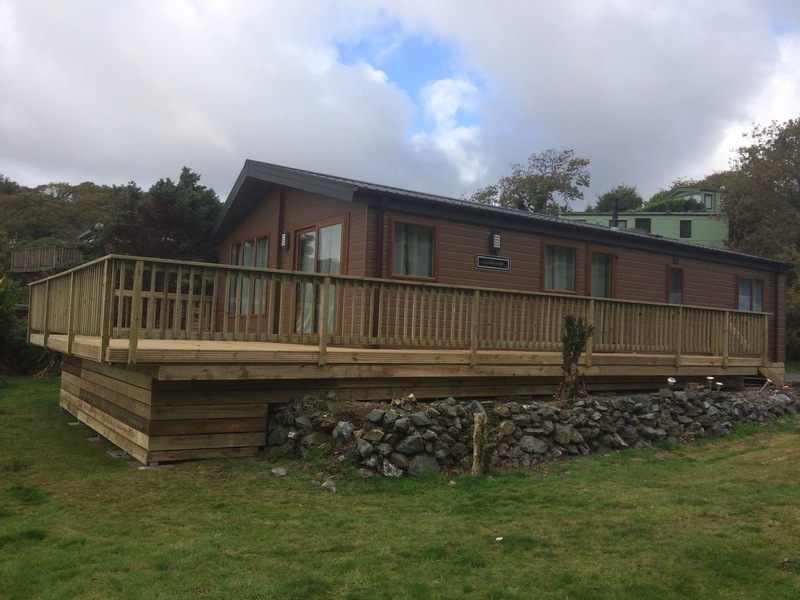 To finish off this great cabin we also boarded underneath it to both give it a finished look and to cut down wind and help with insulating for those windy days. 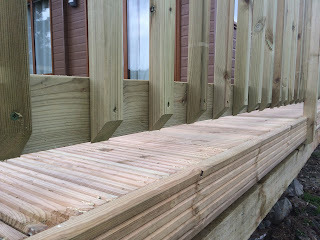 I’ve added a couple of close up pictures to highlight some construction features and high level finish we provide on our decks. 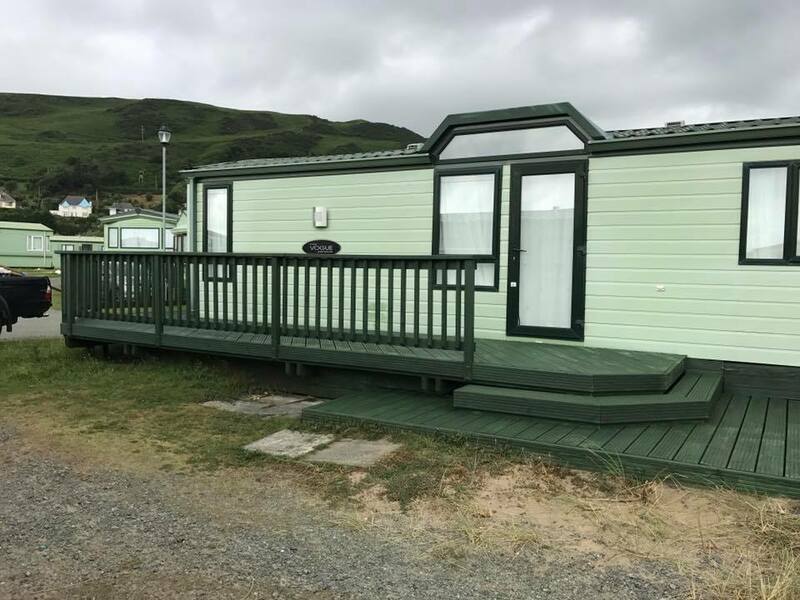 Working on caravan parks we get to see a lot of other peoples decks and it’s safe to say not all decks are built the same! We can guarantee that we don’t take any ‘Short Cuts’ on our decks and are proud to offer a high quality product at an affordable price. We also build our decks using methods that guarantee your deck will last many many years, unlike many builders that don’t consider the damage that water can cause, and that will eventually lead to rotting! 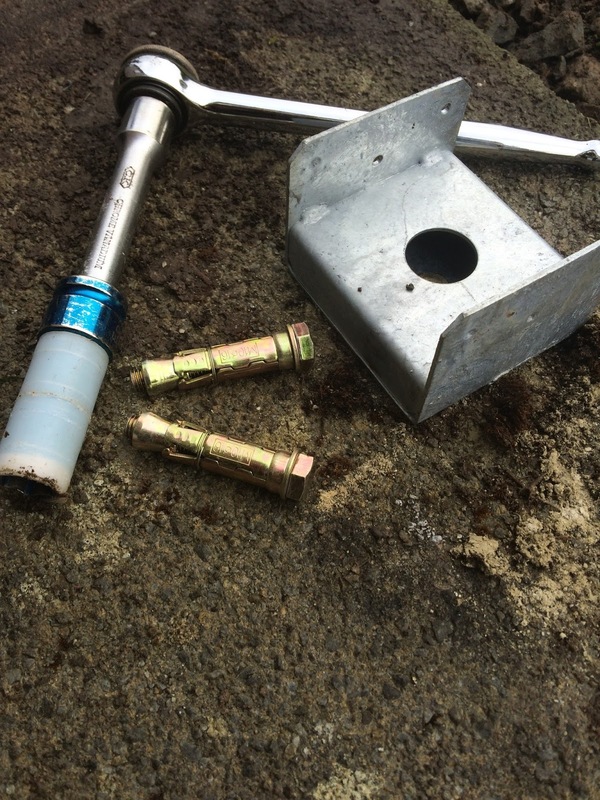 Base brackets help keep the bases of the legs out of ground contact to ensure the posts as long a life as possible. Finishing joints with mitres where ever possible gives a great finish and also hides end grain, to help keep out water. 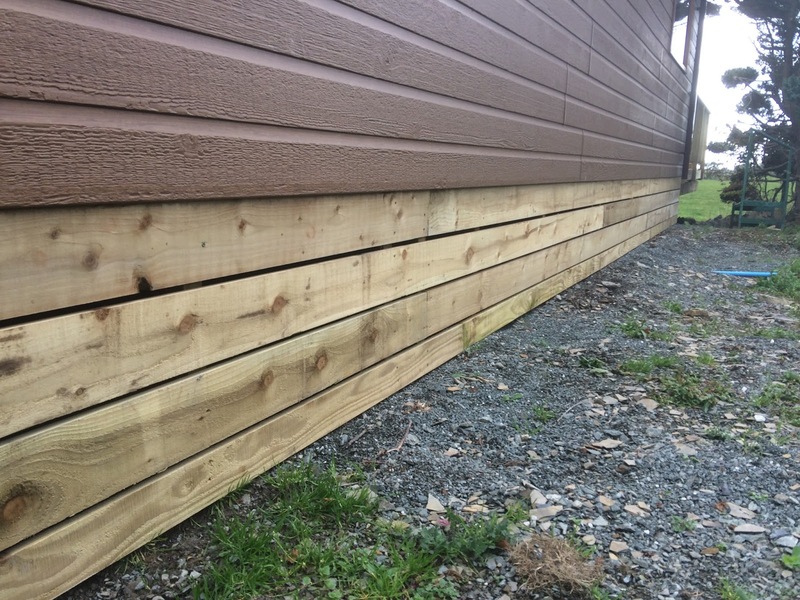 A lot of decks have rails that are built on top of deck boards. 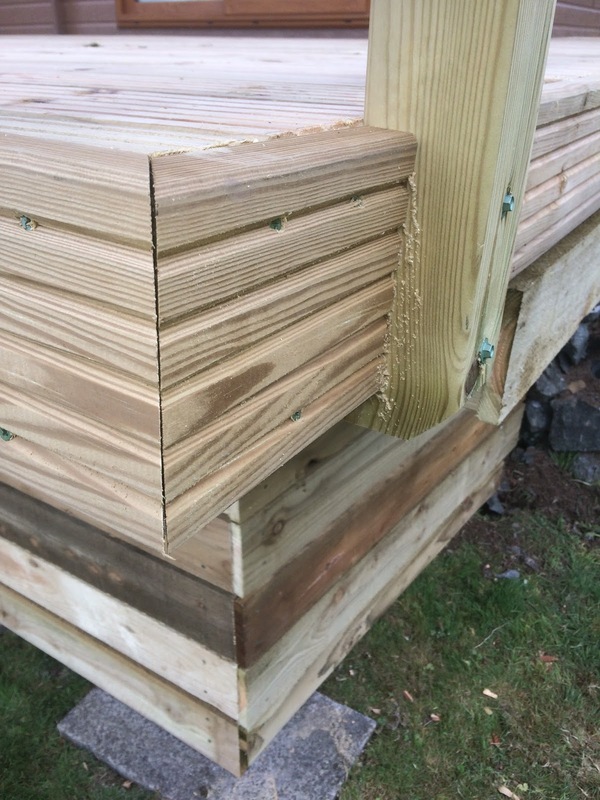 This traps water and causes rot, (some times as early as 3-4 years after the deck has been built), using this method ensures rain water can flow off the decking. It also makes it easier to wash or brush down your decking. I'm sure you'll agree the useable area at the front of the Chalet provides a space around 1/3rd of the total size of the unit. A massive amount of extra living space. If your interested in getting a timber deck or any other bespoke outdoor carpentry, feel free to give us a call on 07739031593 or email us on flywithshem@hotmail.com to chat options over and arrange a free quote.